Luxuriate in aqua lily bathing bliss. 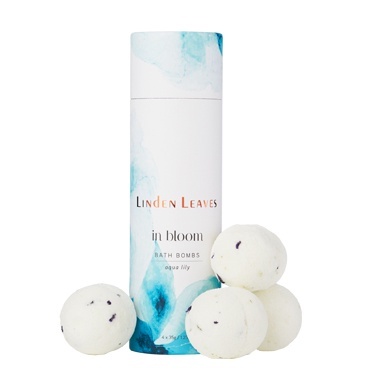 Contains four fragrant bath bombs enriched with skin-softening sweet almond oil. Pop one into the running bath and swirl to dissolve. Hop in, lie back and relax! Beautifully fragranced with fresh top notes of citrus and pear, layered over a bouquet of marine, green florals and lily.